Brian DePalma directs the hell out of this stylish, inventive thriller about a sound man who finds himself knee deep in a conspiracy involving the suspicious death of a presidential hopeful. 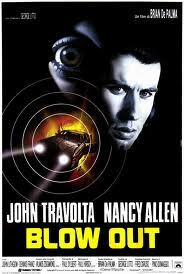 John Travolta is great here; he had previously given movie-star performances in Grease and Saturday Night Fever, but in Blow Out, he became an actor. DePalma regulars Dennis Franz and John Lithgow are memorable as a sleazy photographer and a hell-bent killer, respectively. A terrific piece of entertainment. 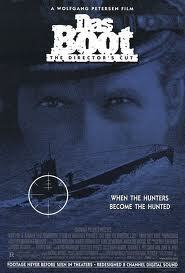 An early masterpiece from acclaimed German director, Wolfgang Petersen, Das Boot takes place almost entirely inside of a U-Boat submarine during WWII. This harrowing tale depicts the claustrophobic lifestyle of weary, though dedicated, soldiers. The 3-hour+ running time may test your patience, but under the direction of Petersen, the tension is unending. An early gem from the great Peter Weir, Gallipoli is the story of two young soldiers who leave their idealistic world to go off and fight in a senseless war. It's more of a character piece than a war film, but make no mistake -- it's a grand epic motion picture which deserves to be listed side-by-side with Full Metal Jacket and Saving Private Ryan. 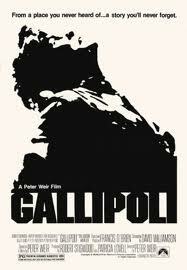 Gallipoli also features a memorable performance by a young Mel Gibson. Steven Spielberg and George Lucas join forces to create one of the most indelible characters in movie history: Indiana Jones. Lucas plucks his Han Solo (after Tom Selleck couldn't do it), and Harrison Ford cements his place in Hollywood as one of our great movie stars. This movie is just about perfect. 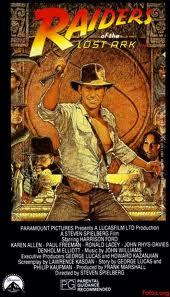 Lawrence Kasdan's script moves along effortlessly as Jones trots the globe in one breathtaking set piece after another. The sequels may have more action and humor, but this is the granddaddy of them all. This is where it all started. This is Warren Beatty's pet project. He did Heaven Can Wait in order to fund this behemoth of an epic. It's quite a masterwork, a moving thoughtful drama set during the Russian Revolution. At its heart is a love story that spans decades between an American journalist John Reed (Beatty) and feminist writer Louise Bryant (Diane Keaton). It's long, but it engages you, provokes thought and emotions and is gorgeous to watch on a big screen. 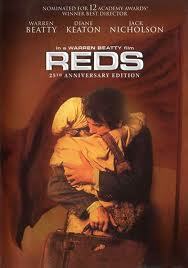 Reds is a classic example of how a grand epic should be made.